There are few places like M&T Bank’s gold dome during the holiday season. Beginning Monday, December 3 through Friday, December 14, M&T Bank will continue its revered tradition of hosting local student choirs from throughout the region to celebrate the holiday season, each weekday at 12 p.m. 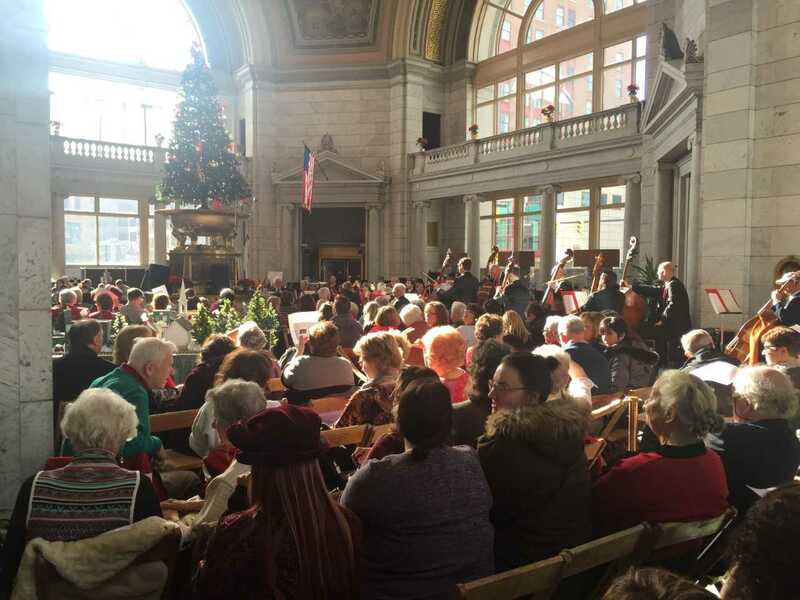 The series’ feature performance will be Saturday, Dec. 8 at 1 p.m. when the Buffalo Philharmonic Orchestra (BPO) fills the gold dome with the familiar sounds of holiday classics. The annual concert series has become a holiday tradition for the community, and as a showcase for the talents of students from schools throughout the region. Other than the BPO performance, concerts will occur every weekday at noon. All concerts are free and open to the public.